One thing Z loves is something new to read as frequently as possible. A nice way to achieve this is with a magazine subscription (or three, like we happen to have at the moment). The current favorite around our house is Wild Animal Baby. This magazine is put out by the charitable, educational National Wildlife Federation. 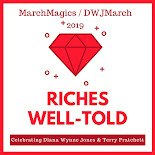 It's a great little magazine that comes on a heavy cardstock weight paper so it's pretty sturdy -- you can keep it around for a while if you so choose. Our house is currently cluttered with almost two years of these! We also usually have one or two in the car. It's marked for ages 0 to 4 and has fantastic photographs, illustrations and activities. They also put out magazines for the "3 to 7" and "7 and up" age ranges. Another benefit of the magazine subcription is the surprise factor. Z gets so excited when he gets his own mail and sometimes even asks for it when we go out to check the mail. How cute do you think a little guy is when he says "magazine day?"! 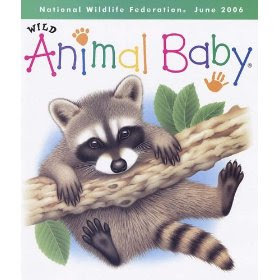 Purchase a subscription to Wild Animal Baby on Amazon or direct from the National Wildlife Federation. We loved this magazine around here when my daughter was a bit younger. We get the older version now.